One of my dominant memories of English Rose’s primary (elementary) school years is of a constant search for lost items. 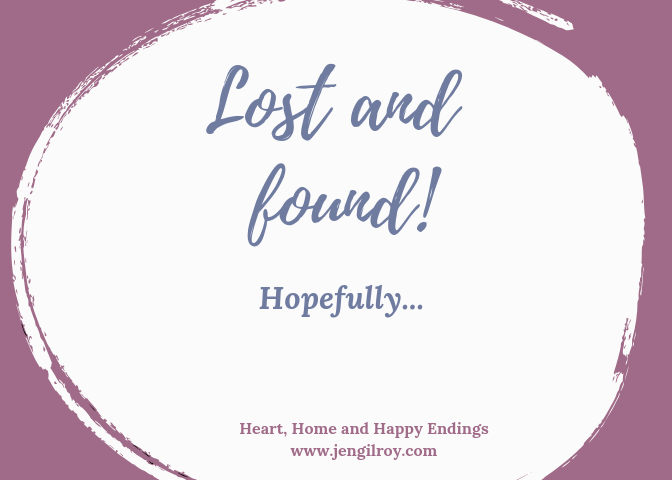 At that time, she wore a dark-green school uniform, and I spent many minutes before and after my then day job sorting through an almost entirely green pile in her school’s lost property (lost and found) box. Stray green socks, tights, gym shorts, cardigans, skirts, and more ended up in that box and, together with other parents, I learned to hold my nose and dig for that elusive item marked with English Rose’s name. Even many years later, a search for that which is lost continues to be a recurring theme in my life. This winter, I resorted to affixing a list on the fridge to keep a running tally of missing items. 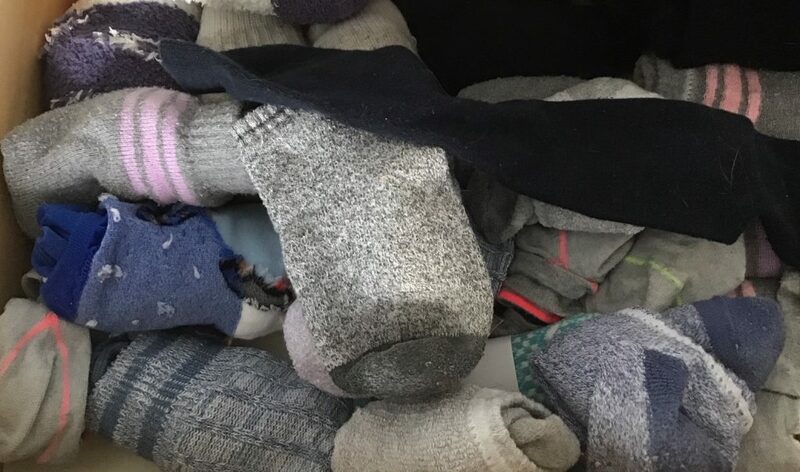 Socks are amongst the usual suspects, and I’m convinced that somewhere there is a land of solitary socks longing for their mates. Mittens are often lost too, although I recently chalked up a win by reuniting a pair of English Rose’s mittens that had been separated since last October. I also keep a close eye on Floppy Ears because with four paws (and a little boot for each), one or more of the boots often disappears. And too many times to count, I’ve walked a dog wearing two or three boots instead of the usual four. When we returned to Canada from England and integrated various households and storage facilities into one, the missing items scale reached a critical point. Indeed, it’s only a month ago that I matched up a set of wine glasses Tech Guy and I received as a wedding present. The white wine glasses moved to England with us but their red wine counterparts stayed behind in Canadian storage. Only when I was sorting glassware in three different cupboards did I realize they were part of the same set and should be stored together. Since Tech Guy lives in Toronto for the working week, shuttling between two places increases the potential for loss. When I visit his apartment, I’m always surprised to find things I thought were gone forever. Currently on my missing items list is a lap quilt, two paper bank statements, and a USB stick—the latter taken by Tech Guy to print family photos but which also included one of my draft book manuscripts. Although the book file was backed-up online, somewhere someone may be reading an unedited Jen Gilroy story, complete with typos, research notes, deleted scenes, and more. Yet, as I’ve discovered most lost items do (eventually) reappear. 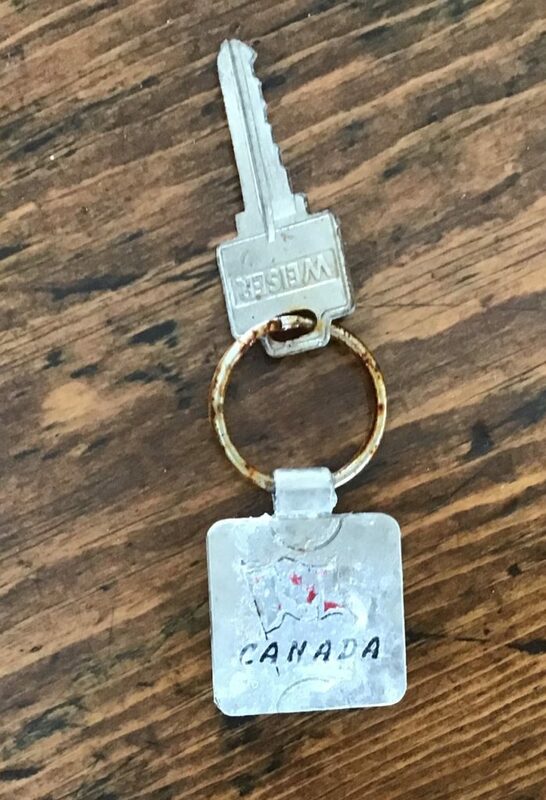 Both Tech Guy and English Rose lost their house keys within days of each other in January. Weeks after having new keys cut, the old keys surfaced—English Rose’s in a bag she doesn’t use often, and Tech Guy’s on the driveway, exposed (and suitably weathered) when winter snow and ice melted to reveal bare pavement. Last week was parent-teacher meetings at English Rose’s high school, and one of her teachers has an office outside the gym and that ubiquitous lost and found box. The smell—ripe with teenage hormones—reached me from six feet away, but at least on that occasion I didn’t have to explore a crate of stray miscellany. Instead, while waiting for my appointment I opened my iPad and turned to tips I’ve bookmarked from organizing guru Marie Kondo. If we have less ‘stuff,’ it’s logical there’s less to lose—and local charity shops benefit. 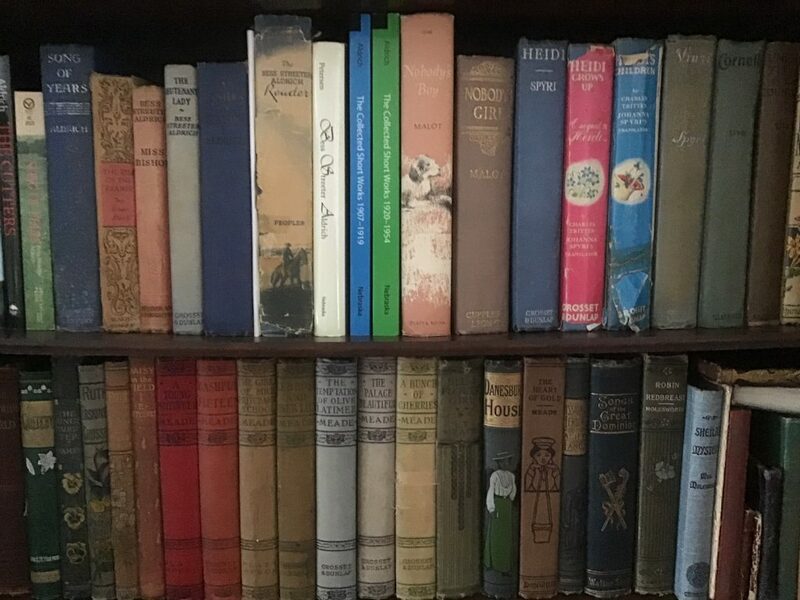 But even as I ‘encourage’ my family to adopt a few ‘simple’ organizing principles and put ‘their stuff’ where it belongs, downsizing my book collection (vintage or modern) is a non-starter. In my life, books are both essential and joyous—and each has its own special place on a shelf and in my heart. 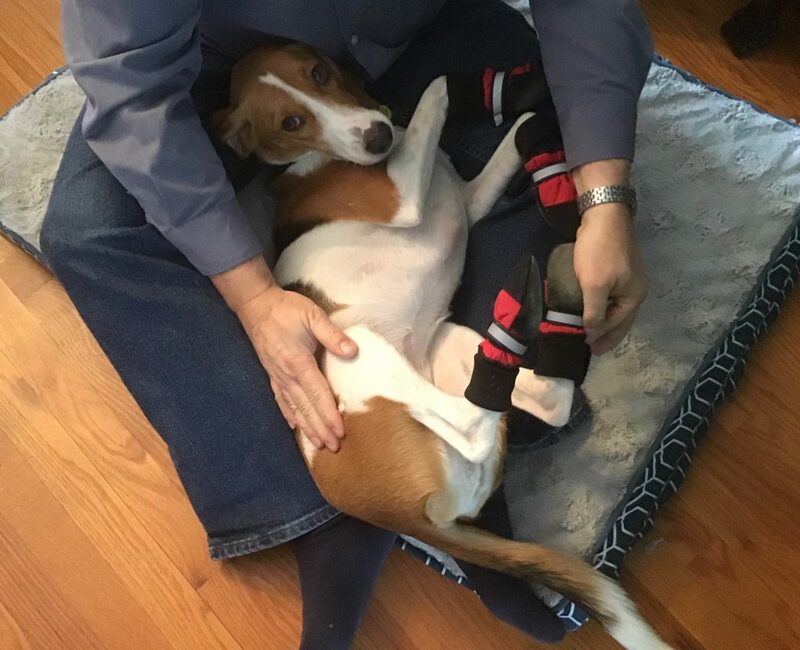 Michael does not understand my joy when laundry is finished and all my socks are matched in pairs! Thank you for bringing a smile to my face, Jen. I think the thing that goes missing the most in our house is elastic bands. Not that we have much need of them, but when we do, they can never be found… because we have a little feline thief who, for reasons I can’t begin to explain, loves rubber bands and makes off with them at every opportunity. As a NaNoWriMo writer, I have some Nano wrist-bands, which are made of rubber. One of them vanished the day after I received it and was duly discovered after some days, wrapped up in Cassie’s fluffy mat! And thank you for making me smile too, Susanna. Your ‘little feline thief’ is a sweetheart, despite her unfortunate interest in rubber bands! I’m glad you enjoyed the post and appreciate you commenting.